Coconut Chips ( ROSTED / UNROSTED ) – Rainbow Foods (Pvt) Ltd – Exporting Tuna & Other Sea Food Products World Wide. Rainbow Coconut Chips the perfect delicious healthy anytime treat. 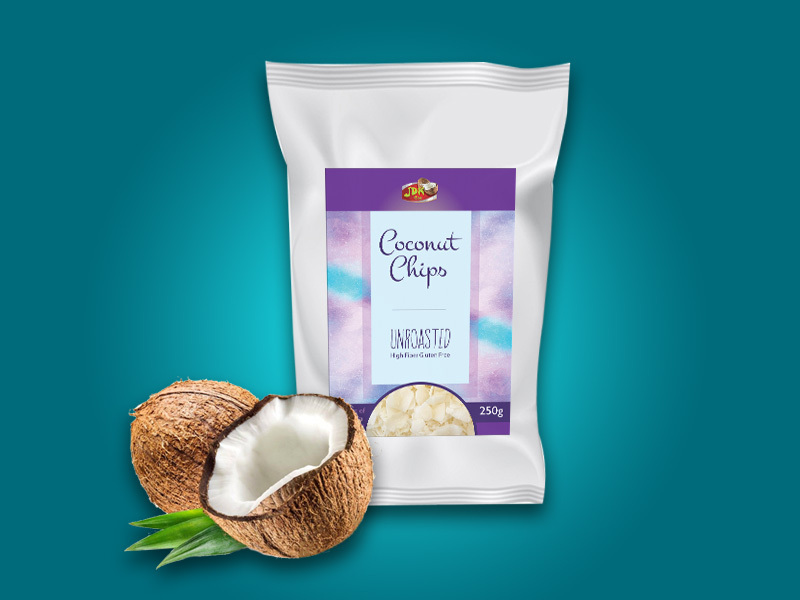 Available as Raw Coconut Chips & Roasted Coconut Chips. The degree of heat for drying is more in Roasted Chips.